This post is quite different from any of our previous posts because of the fact that that it highlights a building that is not very historic yet is a corner that is rich in Plymouth’s history. It has been our discovery that this page receives many searches for the Historic Mayflower Hotel and we were quite surprised to find that there are many people who are still unaware that the Mayflower no longer stands. 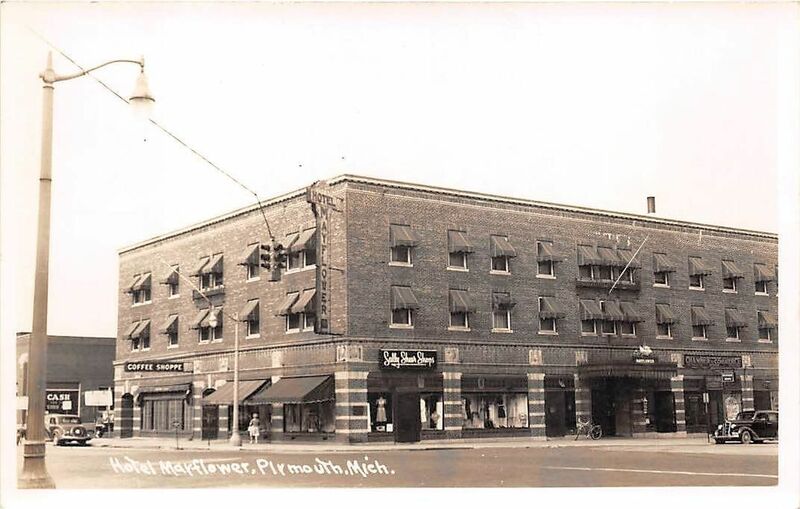 827 W. Ann Arbor Trail was home to the Mayflower Hotel from 1927 through 1999. 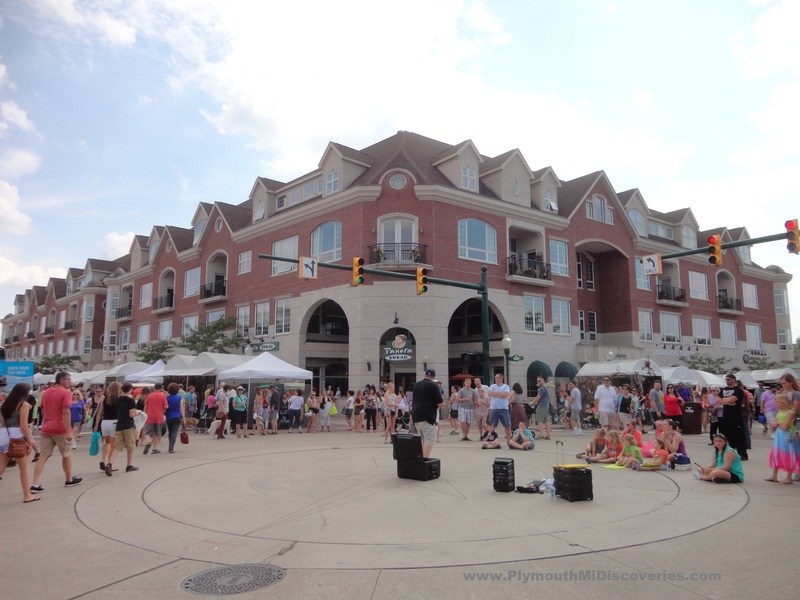 The Hotel was razed in 2000 and is now the home of Mayflower Centre which consists of both retail spaces and condominiums. This was the location where Plymouth’s first home was built by Plymouth Pioneers William and Kezia Starkweather in 1825. Although Plymouth’s first home was more of a primitive shelter, it was still a home and this South West corner of Main Street and Ann Arbor Trail is where it all began. Today there are still “remains” of the Mayflower. Directly across Main Street, the former Mayflower Meeting House still stands and is now home to a Banquet Facility and office spaces. 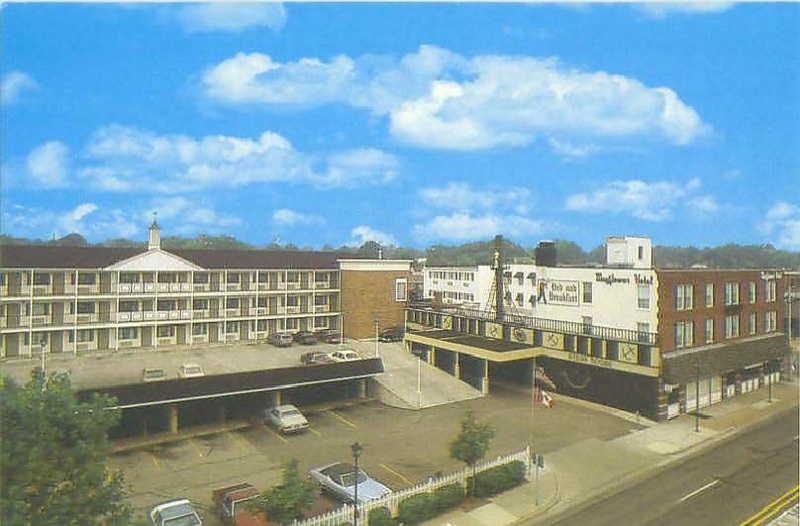 The Mayflower’s later addition (Mayflower II) still stands at 471 S. Main Street and operates as the Mayflower Motor Inn. 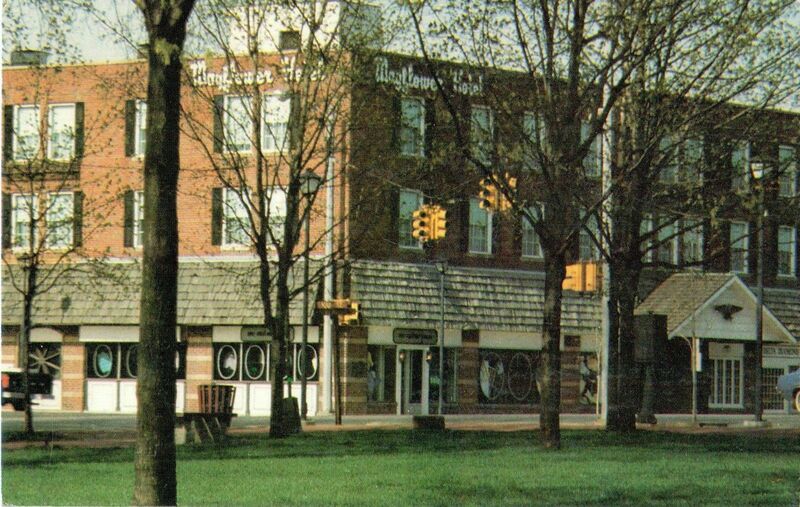 I grew up first on Main St. over the Hood’s carpet cleaning & next to the upstairs bowling alley & just down from the old Cloverdale Dairy/Ice cream place, then at 234 W. Ann Arbor Trail next to the RR tracks. This house as origanlly bought by my great grandparents Andrew & Sarah Bow, then by my grandparents James & Elizabeth Leslie, then again by my parents Harold & Elsie Leslie. Does anyone know what happened to all the wood wall plaques in the bar? We had one made and it was displayed back in 1982, for our wedding.